Spend 5 days / 4 nights on a whirlwind adventure! Experience everything Tahoe Jack’s has to offer. 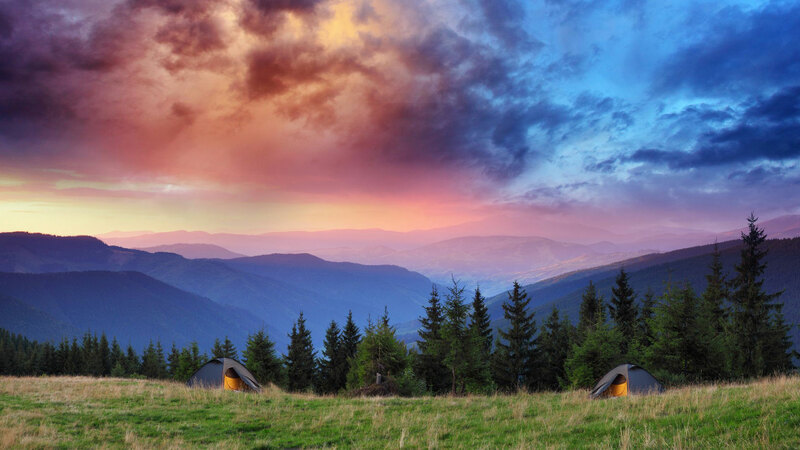 Camp, Hike, Bike, Kayak, Climb & More. We’ll take care of everything. Just bring yourself. Combine any adventures, any way you like it. Paddleboard to a rock climbing location. Mountain bike to the beach and set off on a kayak journey. If you can imagine it, we can custom tailor it. ANY GROUP SIZE. WE GOT YOU COVERED. From small intimate groups to large corporate events. Tahoe Jack’s specializes in small to large groups and everything in between. From intimate special occasions to large corporate events. We can customize any adventure. With 22 adventures on tap. We’ve got you covered. But why stop there? New adventures in the works. Keep your eyes open. YOUR BUCKET LIST IS OUR ITINERARY. Tahoe Jack’s Adventure Authority provides Lake Tahoe tours, excursions and expeditions throughout the greater South Lake Tahoe region. 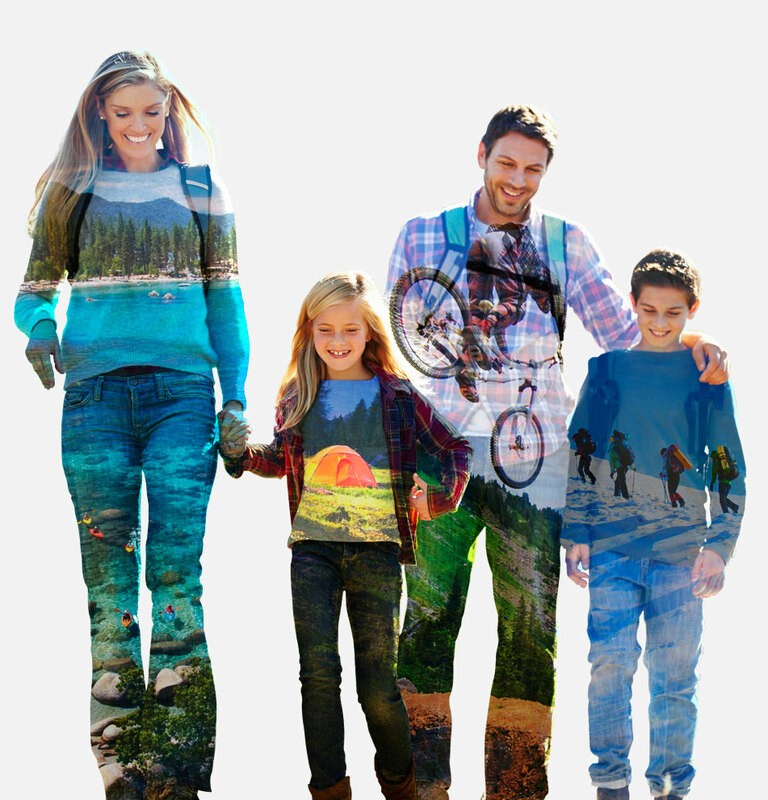 We offer a wide selection of Tahoe adventures and outdoor activities for people of all ages. We invite you to come experience why we are known as Lake Tahoe’s adventure authority. Enjoy one of our many kayak tours through crystal clear waters. Embark on a scenic hiking adventure high above Lake Tahoe. Ride exciting mountain bike trails littered with fast paced single tracks. 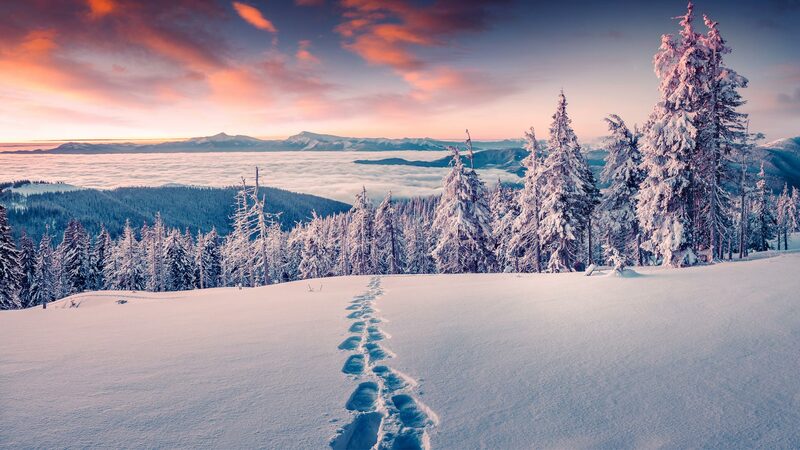 Venture into a vast winter wonderland on a Tahoe snowshoeing tour. Learn to climb dynamic granite slabs on one of our Lake Tahoe rock climbing courses. Get on the water and experience our paddle board tours and discover secret coves and hidden beaches. 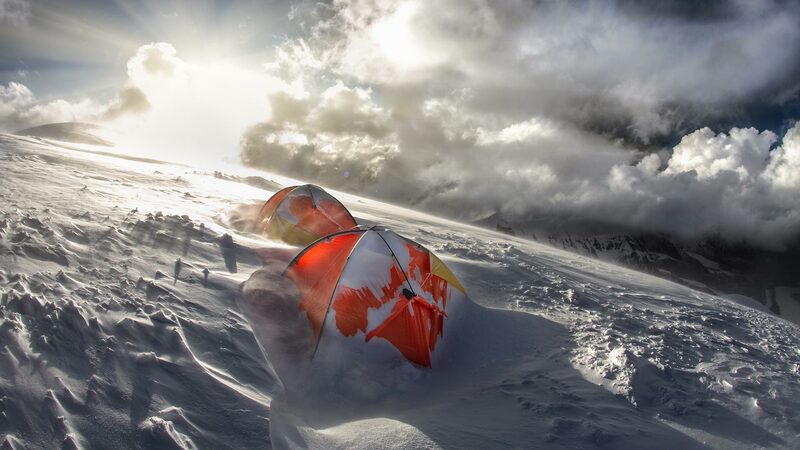 Journey into the back country on a overnight backpacking expedition. Learn wilderness survival skills in one of our outdoor education courses. Or let one of our adventure consultants customize a package specific to your group. YOUR BUCKET LIST. OUR ITINERARY. Lake Tahoe rock climbing at its finest. Learn to climb in Tahoe’s breathtaking wilderness setting with professional instructors by your side. Enjoy a Lake Tahoe kayaking tour through crystal clear waters, hidden coves and secret beaches with jaw dropping mountain views. Journey through towering forests. Mountain Bike Lake Tahoe’s scenic mountain tops. Travel exhilarating downhill trails. Experience it all. Take a hike. Literally. 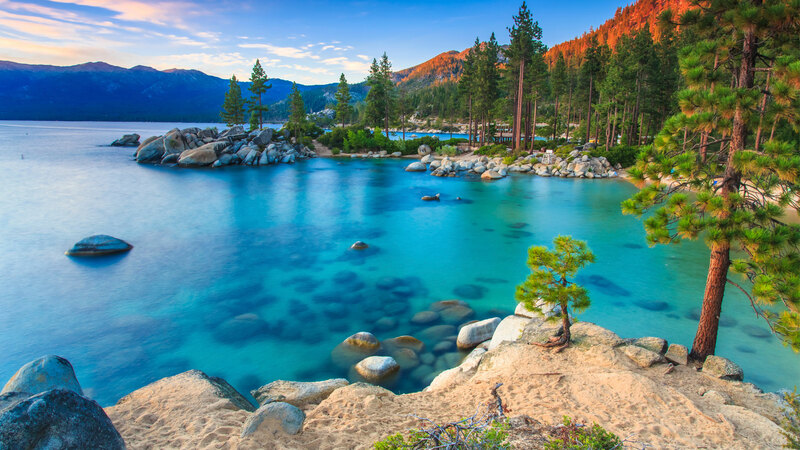 Lake Tahoe is voted as one of the most scenic wilderness settings in the nation. 360 degree vistas & high alpine lakes are just the start. Winter or summer. Our Lake Tahoe wilderness survival course will teach you how survive in the harsh elements when everything goes wrong. Watch the milky way come to life. 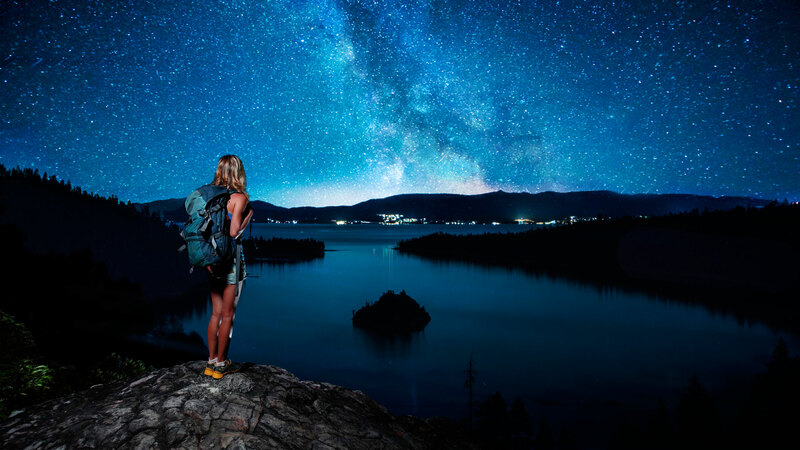 Travel through dark forests & Stargaze at the night’s sky or enjoy a full moon Lake Tahoe kayak tour. Backpack into Lake Tahoe’s backcountry for an overnight camping excursion. Discover and experience untouched frontiers. Paddleboard Lake Tahoe’s crystal clear waters. Paddle through beautiful hidden coves and rugged shorelines. Take a dip and enjoy some R&R. Experience everything Tahoe Jacks has to offer on a 5 day extended wilderness expedition. With countless activities we’ll keep you entertained the whole trip. 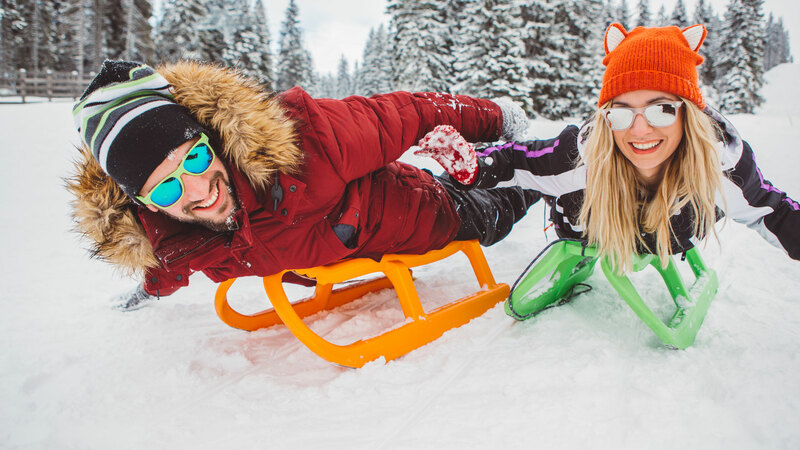 Come experience a sledding adventure all your own. Without the crowds. From gentle rolling hills to fast paced mountains – we got you covered. Float on the snow and experience one of Tahoe’s newest sports. Fat Bike. Oversized tires help provide traction control in winter conditions. Take a Lake Tahoe snowshoe tour through a winter wonderland filled with snow covered forests, high alpine lakes and tall granite peaks. Learn how to survive when everything goes wrong. 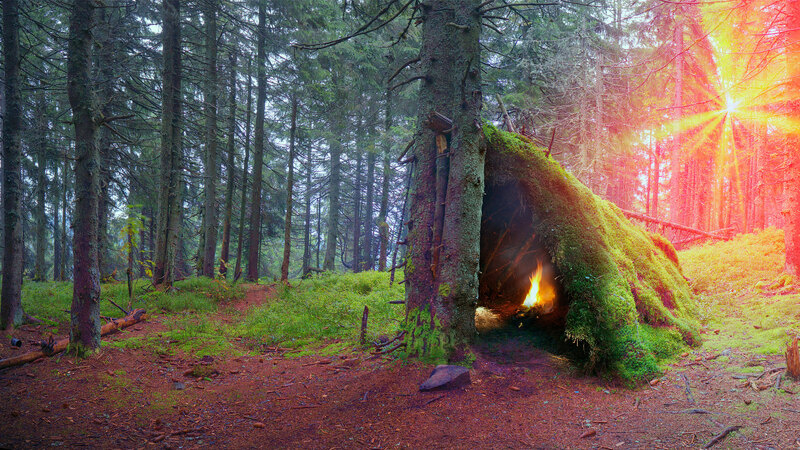 Shelter building, fire making, rescue techniques and more. All set in Lake Tahoe’s winter playground. Snowshoe into the backcountry and camp under the stars. It’s a adventure few attempt on their own and one of our most sought after experiences. 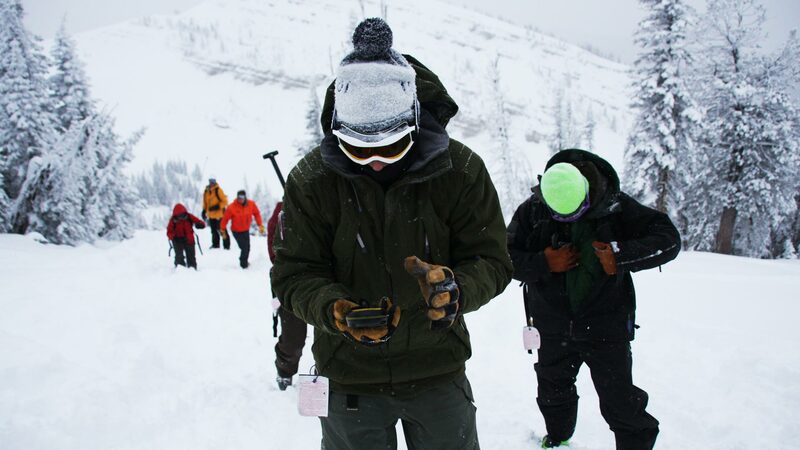 Learn the safety precautions, protocols and instruments used avoid avalanches and increase your likelihood of survival if caught in one. 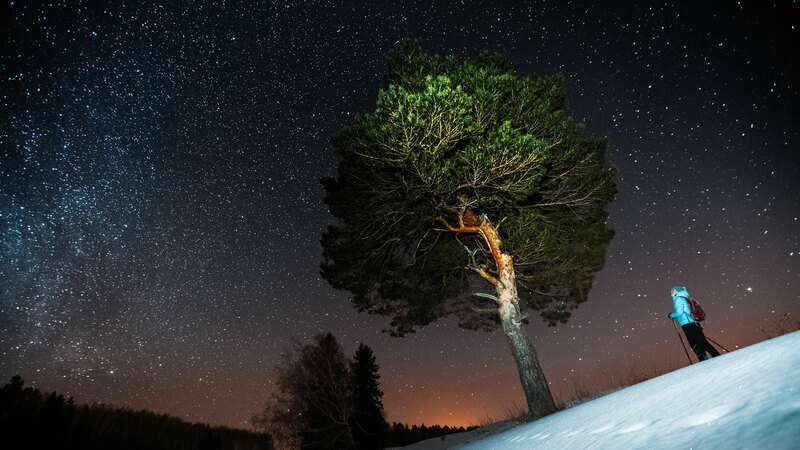 Journey into the night as we snowshoe under the stars. Perch atop one of Tahoe’s best viewing peaks and enjoy hot chocolate and smores as the stars come out to play. LEAVE ROUTINE AT HOME. HAVE AN ADVENTURE. Questions regarding our South Lake Tahoe tours? We would love to hear from you. Please feel free to contact us if you have any questions regarding our Lake Tahoe outdoor adventures. We’d be happy to answer any questions you may have. , activities and expeditions for those seeking a family-friendly outdoor adventure during their South Lake Tahoe vacation. We offer Tahoe tours, excursions and expeditions that are exciting, dynamic and diverse throughout the Lake Tahoe region. We offer over twenty Tahoe adventures to choose from. Making us Lake Tahoe's adventure authority. Lake Tahoe offers a plethora of outdoor possibilities. Our tours focus on South Lake Tahoe activities that provide an exciting way to experience everything the area has to offer. All of our adventure tours and excursions are located within 20 minutes of South Shore. Providing you with limitless outdoor activity options on your next vacation. Enjoy kayaking Tahoe’s crystal clear water. Our kayak tours are one of a kind and give kayakers the opportunity to view some the most beautiful shorelines a kayak adventure can afford. With optional snorkel gear you can not only kayak Tahoe’s waters, but also enjoy whats beneath them. Furthermore, we offer multiple kayaking tours including: sunrise tours, day safari, sunset adventures and full moon kayak tours under the stars. With so many opportunities, kayakers are able to kayak Lake Tahoe’s waters regardless of their schedule. Lake Tahoe is home to hundreds of miles of hiking trails that provide hikers with unlimited options. Our Tahoe hiking tours enable visitors to experience Lake Tahoe’ diverse backcountry and wilderness landscapes. 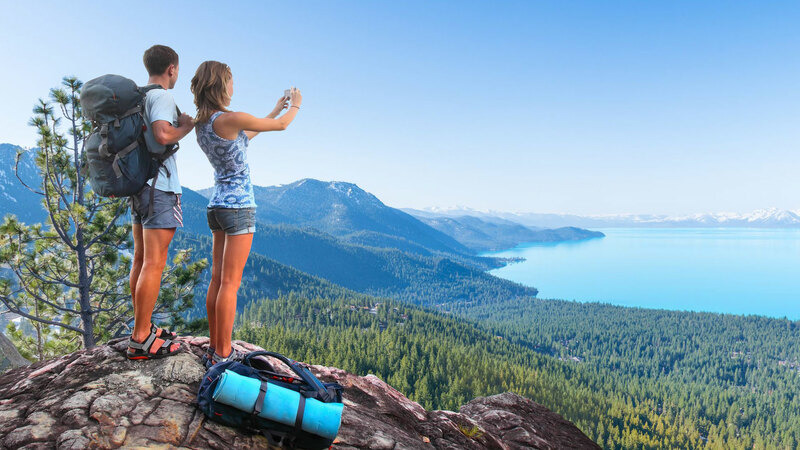 Hike through towering forests and experience high alpine lakes as we take our hikers on a journey through Lake Tahoe’s best hiking trails. 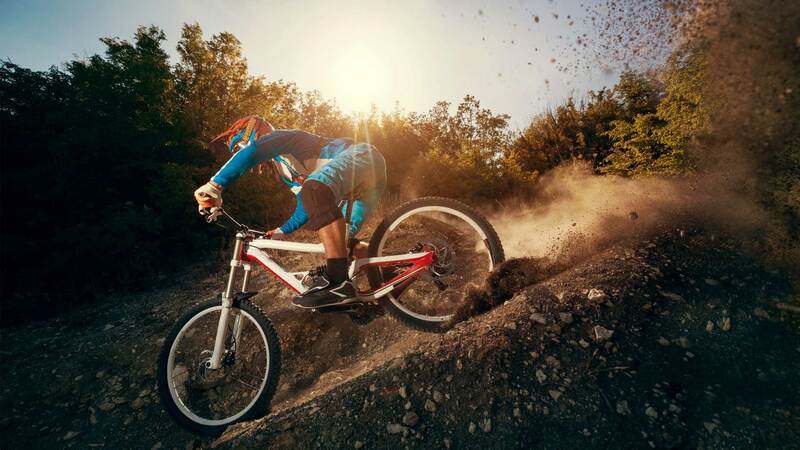 If you’re looking for a more fast paced adventure we offer Tahoe mountain bike tours. 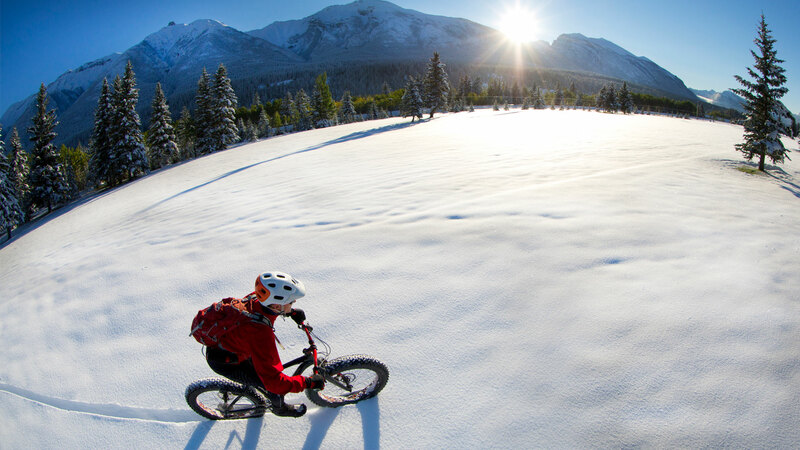 Mountain biking adventures include scenic vistas, views of the lake and fast paced downhill rides. 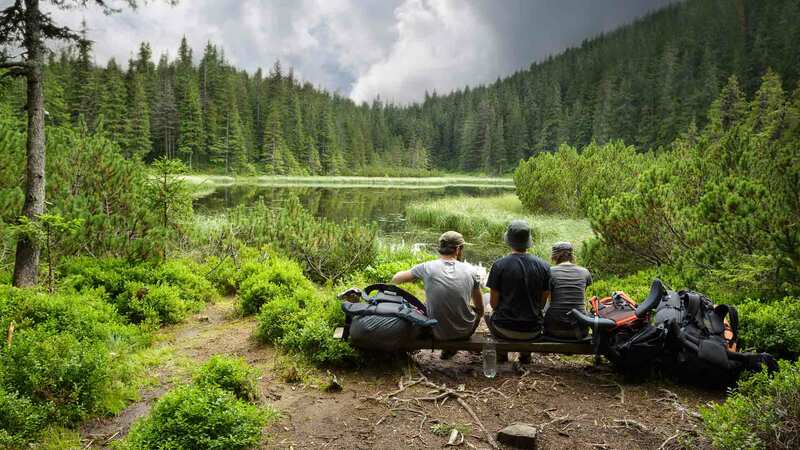 Whether you are looking to mountain bike Lake Tahoe’s peaceful forest or seeking an adventure packed with adrenaline we can arrange the perfect mountain bike experience on your next holiday. Learn to rock climb. 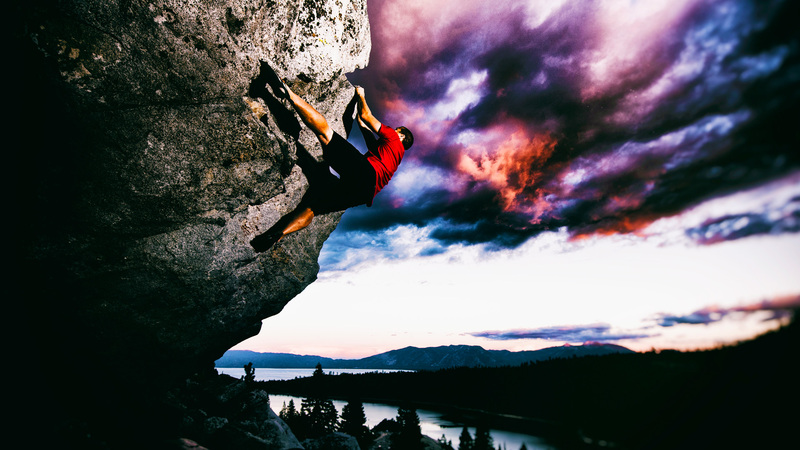 Our Lake Tahoe rock climbing courses offer those new to the sport the perfect opportunity to experience Tahoe’s outdoor climbing opportunities. Rock climb granite slabs high above the lake while our instructors give hands on instruction of the equipment, techniques and safety procedures that are imperative to becoming a great rock climber. With so much wilderness to experience, backpacking Lake Tahoe’s backcountry is a must do. Tahoe Jack’s Adventure authority has spent thousands of hours backpacking Tahoe’s untapped landscapes. Whether seeking a remote backpack destination on a multi-day tour or just enjoying a single night in a remote location; we can organize the perfect Lake Tahoe backpacking trip. Our wilderness survival classes set in Tahoe’s forests teach the importance of self reliance in any situation. All of of our Lake Tahoe wilderness survival courses focus on shelter construction, fire making, orienteering, water purification, foraging options and learning the skills that will keep you alive in any outdoor emergency situation. Our Tahoe wilderness courses are offered in both summer and winter. Whether you call it paddle boarding or SUP (stand up paddle board) we provide exciting tours amongst Lake Tahoe’s hidden coves and rugged shorelines. Our Lake Tahoe paddle boarding tours run daily and are a great way to experience Tahoe’s waters. Whether you are new to paddle boarding or a paddle board connoisseur we have an SUP adventure for you. Harness the wind on a Tahoe kite board adventure. Kite boarding on Lake Tahoe is a fun and challenging activity. Our instructors will walk you through flying the kite on land and the specific techniques necessary to kite board Lake Tahoe’s waters. These courses are geared to getting you up and kiteboarding for people new t the sport. When the sun goes down, the stars come out to play. Join us for full moon kayaking tours throughout the summer months. Or enjoy setting out under the stars on a hiking adventure. With low light pollution the milky way puts on a spectacular display throughout the Lake Tahoe area. All of our full moon tours and night sky hiking trips come with hot beverages to keep you warm as we take in the show. Journey into a winter wonderland on a Tahoe snowshoeing tour. Our snowshoe tours give visitors the opportunity to experience Lake Tahoe’s vast winter playground. 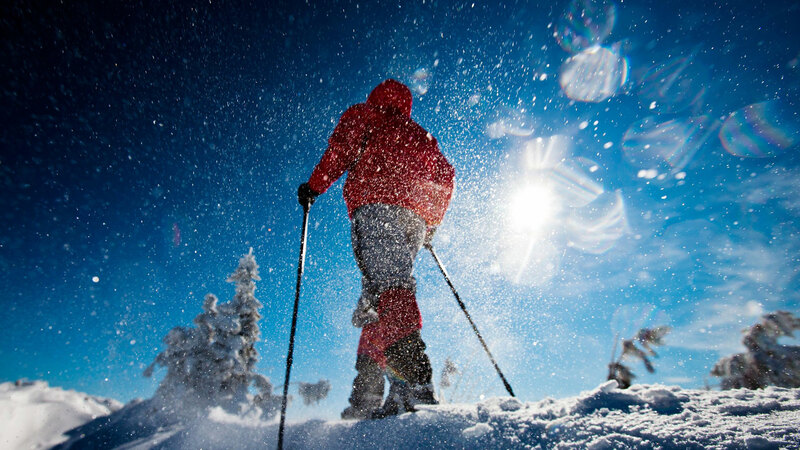 Snowshoe through fresh powder while we pass alpine lakes and view snow covered mountain tops. Breathe crisp winter air and enjoy snowshoeing through Lake Tahoe’s peaceful surroundings. Our experienced Tahoe tour guides and activities leaders have extensive knowledge of the natural wonders and wilderness areas throughout Lake Tahoe and the surrounding Sierra mountains. We look forward to sharing an adventure with all of you. For your next South Lake Tahoe vacation let our tour and activity providers take you on a journey to discover Lake Tahoe’s pristine wilderness playground. We are Tahoe Jack’s Adventure Authority and we welcome you to South Lake Tahoe.